Known as ‘Canada’s ocean playground’, Nova Scotia’s location on the edge of the Atlantic has long shaped the provinces landscape, culture and economy. 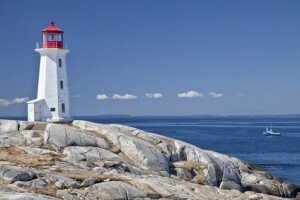 The region is rich in maritime tradition and heritage which is evident from Halifax’s historic harbour to the ancient cliffs and forests of the rural areas. The provincial economy is growing steadily thanks to the strong performance of the energy, IT and research sectors with employment levels expected to rise, particularly around Halifax. The cost of living compares favourably to the UK, housing, groceries and petrol are generally cheaper. Moving to Nova Scotia is a great choice for families as the province prides itself on its friendly, community orientated ethos and the education and healthcare services are among the best in Canada. Nova Scotia’s picturesque capital is rich in history and culture with many museums and art galleries to visit as well as an attractive waterfront. The large port and university give the city a cosmopolitan, vibrant feel, while the beautiful architecture adds a traditional air. It is known for the good quality of life it can offer its residents, many of whom walk or cycle to work. Halifax is the economic centre of the province and an international city, therefore there are excellent work and business opportunities here. The main industries are fishing, agriculture, mining, forestry and tourism. The capital of the Nova Scotia’s picturesque Cape Breton Island, Sydney boasts a pretty waterfront and several scenic driving and hiking routes. The area was the centre of Canada’s steel industry, but tourism now drives the local economy with the development of the harbour expected to bring hundreds of jobs. It is a community founded by the British in 1785 and is a former capital of the colony. The nearby Cape Breton University is popular with international students and a new Centre for Sustainability has boosted its environmental credentials. Interestingly, the area’s waterfront is also home to the world’s largest fiddle! Truro is known as the hub of Nova Scotia due to its central location and position on the rail route between Halifax and Montreal. It is also at its commercial heart, with a large industrial park that has allowed a wide variety of businesses to flourish in the area. 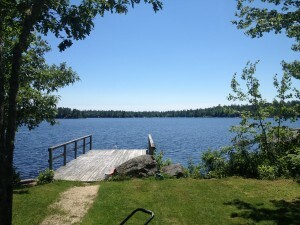 Truro also has excellent schools and healthcare services as well as the beautiful Victoria Park with 400 acres of forest, waterfalls and an outdoor pool. Originally a small community mainly consisting of farmers, the town is now home to a population of approximately 12,500 people. Located on the Northumberland Coast, New Glasgow is a riverside town with a strong industrial tradition. There is still a strong manufacturing industry, but business services, sales and healthcare are also central to the area’s economy. New Glasgow also hosts the popular Riverfront Jubilee, celebrating local and national music across the town. The Race on the River is also a popular event which raises money for local charities. Most moving to Nova Scotia choose to travel by road with highways linking all major towns. The Trans-Canada Highway runs from Cape Breton through the province and across Canada as far as Vancouver. Via Rail also operate an intercity train service with a route from Halifax through Truro to Montreal. There are bus links between most towns and metropolitan services around some of the larger settlements. Halifax Stanford International is the Province’s main airport with daily flights to and from the UK. Nova Scotia’s nautical heritage is celebrated at the Halifax Maritime Museum of the Atlantic, home to fascinating World War II relics and items recovered from the Titanic. At Pier 21, you can discover the history of immigration into Canada at the point of entry for hundreds of thousands of people arriving between 1928 and 1971. The charming fishing cottages and delicious seafood of Lunenberg are also well worth a visit. Nova Scotia is a great place to enjoy the great outdoors with hiking and cycling trails for all abilities across the region. The Cape Breton Highlands National Park boasts deep river canyons, ancient forest and stunning views of the Atlantic Ocean. Equally dramatic are Joggins Fossil Cliffs where exposed layers of rock reveal an unrivalled fossil record of life over 300 million years ago. Nova Scotia’s slightly more recent past is preserved at the Grand Pré National Historic Site which is home to an Acadian village dating back to the 17th Century. Nova Scotia has more universities per capita than anywhere else in Canada, there are six degree granting universities in Halifax alone. The Bay of Fundy officially has the World’s highest tides at16.6 metres tall. Around 100 km² of water flows in and out the bay twice a day. There are more Titanic passengers buried in Nova Scotia than anywhere else in the World. Bodies were recovered to Nova Scotia as Halifax was one of the closest ports to the ship’s final resting place. The “Halifax explosion” in 1917 was the worst man-made explosion until Hiroshima in 1945. It happened when a ship carrying wartime explosives collided with another vessel in Halifax Harbour. If you are moving to Nova Scotia, read our migrant story about what it is like to live there: Chris’s Migrant Story – Moving from the UK to Nova Scotia.